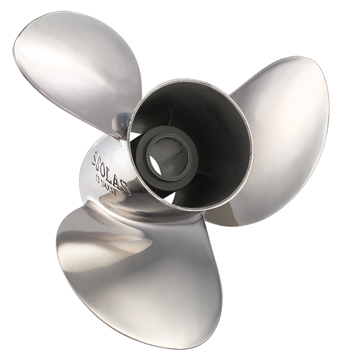 3 Blade stainless interchangeable hub propeller for 40-140 horsepower engines with thru hub exhaust. Category D prop. Requires RBX hub kit for installation.